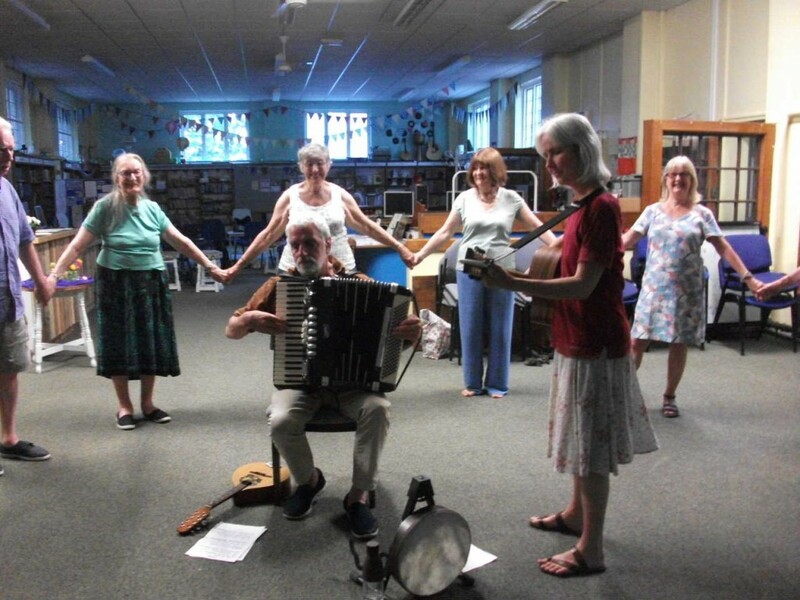 The Old Library Circle Dance Evenings take place on the last Tuesday evening of the month, from 7.30 to 9.30. But what is Circle Dancing, why do people get involved and why should you? Susannah Temple, our fantastic Circle Dance evening lead shares her thoughts and ideas – if it sounds like something you’d enjoy, why not come along and give it a try? Modern circle dance draws on the rich and diverse traditional dances of many countries, including the Balkans, Greece, Israel, Russia, and France. There is also a growing repertoire of new dances to classical music and contemporary songs. Circle dances can be energetic and lively or gentle and reflective. The style and mood reflects the group and the interests of the teacher. The aim always is to experience the joy of dancing with others and to create a sense of well-being and community. Anyone of any age or ability can circle dance. Each dance is taught, there is no audience and everyone is welcome. You can come along on your own or with a friend (you do not need a partner) and join in. Circle dance groups meet regularly all over the United Kingdom and abroad, and hold special events, dance days, weekends and even circle dance holidays. Why do people come along to the Old Library Circle Dancing evenings? People come along for all sorts of reasons. Some used to go circle dancing previously and are glad to take it up again and enjoy familiar dances alongside adding new ones to their repertoire. Others come mainly for the exercise, others enjoy the social aspect particularly, while yet others like the experience of trying something new and acquiring a vocabulary of dances. Plus dancing in a circle helps people feel safe. They find their balance and coordination improves, often to their surprise, and they gradually discover they are learning the steps more and more easily. We dance to music from around the world! 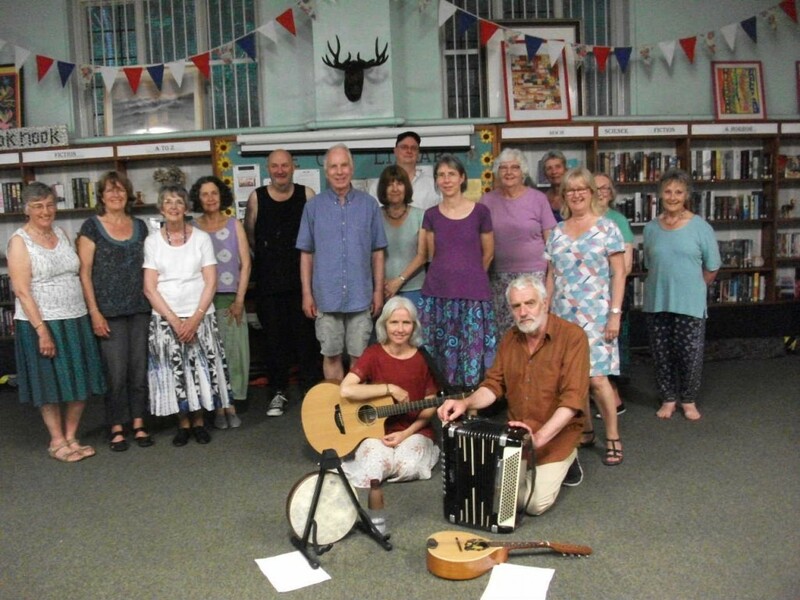 Previously we have had recorded music, but at the end of June 2018 we had our first experience of dancing to live music – delightful! This enriches the whole experience. Bob and Morag have promised to come back every few months and we are looking forward to that. Meanwhile, a different group of musicians led by Dee Jarlett (Gasworks Choir) will be coming along at the end of October to enliven our circle, so our experience is developing in several ways. People are entranced by the lovely tunes and I think some people might like coming just for the music! The web site for Circle Dance contains loads of information about all aspects of Circle Dance, and there is a magazine regularly – info about how to subscribe is on the site. It is well worth exploring. Or just come along and see what its all about! Join in or watch from the side until you’re comfortable. It’s a small group and everyone is really happy to welcome new people along to the evenings. ← THE OLD LIBRARY NEWSLETTER SUMMER 2018!